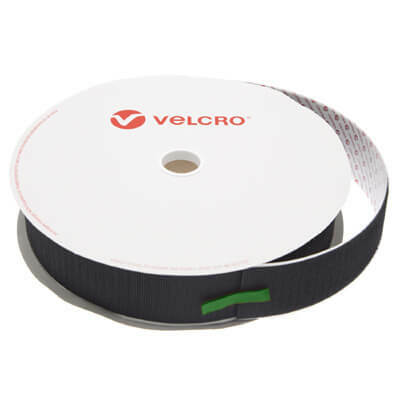 50mm wide x 25m long VELCRO Brand PS18, a high-tack acrylic (water based) adhesive applied to the back of the tape. PS18 is perfect for use on PVC, Vinyl and other substrates containing plasticizers. 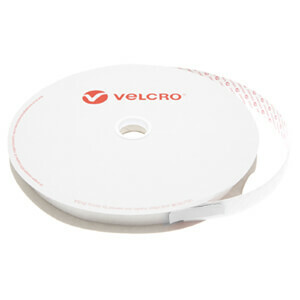 It can also be used on most other surfaces including metal, glass, wood, rigid plastic and card; this particular hook or loop is commonly used in the exhibition industry as it adheres well to Foamex and has high temperature resistance making it the best choice when used under hot display lighting. PS18 is not suitable for use on Polyethylene or Polypropylene. High Tack PS18 Acrylic Adhesive. VELCRO® Brand fasteners with general purpose PS18 water based adhesive are recommended for smooth surfaces and for indoor use. 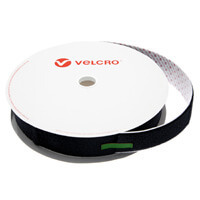 Note: Not recommended for use on Polyethylene or Polypropylene or underwater use. Continued exposure to full sunlight can damage fastener.